^air cleaner top lid only. ^works great. MAGNUM 2005 -2008 3.5L. MAGNUM 2005 -2008 2.7L. Vehicle Year: 2014. Vehicle Model: Ram 1500. Part # or Vehicle Model: Ram 1500. Vehicle Make: Dodge. The Source For USED AUTO PARTS. If your vehicle was not originally equipped with the EXACT part(s) listed, it is your responsibility to consult a dealer to see if it will fit your application. It does have normal wear and scuffs. We consider this item to be in used condition. I took good pictures of the item. S# 180416 04 Dodge Durango. Interchange; 319-00492 07-09 Aspen 4.7L 5.7L 04-09 Durango. A very nice complete and clean air intake for your 5.7L 2007 Dodge Charger. There might be other years that can take this intake as well. Even a new filter. 2015 DODGE RAM 1500 PICKUP 3.0L V6 TURBO DIESEL. ENGINE: 3.0L V6 TURBO DIESEL (EXF). FUEL TYPE: DIESEL. BODY COLOR: BLACK CLEAR COAT(PX8) / BLACK CLEAR COAT (QX8). MILEAGE: N/A. Dodge Magnum 2005-2008 5.7L. Vehicle Model: Magnum. Part # or Vehicle Model: Magnum. Dodge Challenger 2009-2010 5.7L. Vehicle Make: Dodge. Vehicle Year: 2005. The Source For USED AUTO PARTS. If your vehicle was not originally equipped with the EXACT part(s) listed, it is your responsibility to consult a dealer to see if it will fit your application. This is off a 03 Dodge ram with a 3.7. It should fit other years and motors just make sure first that it fits. Compare your part number to the one in the picture. 97-04 Dodge Dakota intake throttle body cover lid. Good shape and ready to install. Genuine Dodge factory part. FREE SHIPPING. This could use a very good cleaning. DAKOTA 2000 -2004 4.7L. DAKOTA 2004 -2004 3.7L. The warranty period starts when you take possession of the part. No labor warranty is provided. DURANGO 2000 -2003 4.7L. Dodge Ram 3500 2003-2006 5.9L (diesel). Dodge Ram 2500 2003-2007 5.9L (diesel). Dodge Ram 3500 2009-2009 5.9L (diesel). Vehicle Model: Ram 2500. Dodge Ram 3500 2007-2007 5.9L. Part # or Vehicle Model: Ram 2500. Vehicle Model: Ram 1500. Part # or Vehicle Model: Ram 1500. Vehicle Make: Dodge. Vehicle Year: 2005. The Source For USED AUTO PARTS. If your vehicle was not originally equipped with the EXACT part(s) listed, it is your responsibility to consult a dealer to see if it will fit your application. Vehicle Model: Ram 1500. Part # or Vehicle Model: Ram 1500. Vehicle Make: Dodge. Vehicle Year: 2007. We do our best to prevent these issues from happening and apologize for any inconvenience it may cause. Vehicle Make: Dodge. Vehicle Year: 2008. The Source For USED AUTO PARTS. If your vehicle was not originally equipped with the EXACT part(s) listed, it is your responsibility to consult a dealer to see if it will fit your application. 99 Dodge 24v Diesel Stock Air Filter Box. Condition is Used. The warranty period starts when you take possession of the part. No labor warranty is provided. 300 2005 -2010 3.5L. 300 2005 -2010 2.7L. MAGNUM 2005 -2008 2.7L. DAKOTA 2005 -2005 4.7L. DAKOTA 2005 -2005 3.7L. The warranty period starts when you take possession of the part. No labor warranty is provided. 100 YEARS IN BUSINESS! 100 YEARS IN BUSINESS! DART 2013 -2016 1.4L (turbo). The warranty period starts when you take possession of the part. No labor warranty is provided. Air Cleaner. SLT,4.7, Air Cleaner 08102018. DAKOTA 00-02 4.7L. DAKOTA 03-04 4.7L. DAKOTA 04 3.7L. DURANGO 00 4.7L. Pick up at our facilities is available. No labor warranty is provided.No warranty is provided on electrical parts. 2008 DODGE RAM 2500 ST. 6.7L 4WD DIESEL. Be sure for what you buy! - it is an electronic part in good condition. - don’t need it any more;. - wrong part ordered;. - doesn’t fit;. - changed you mind;. CALIBER 2007 -2007 2.4L. CALIBER 2007 -2009 1.8L. CALIBER 2010 -2010 2.4L. CALIBER 2008 -2009 2.4L, VIN B (8th digit). CALIBER 2007 -2009 2.0L, gasoline. CALIBER 2008 -2009 2.4L, VIN K (8th digit). CALIBER 2010 -2010 2.0L. This is a used airbox pulled from a 1998 Dodge Ram 1500 V8. It should fit 1994-2001 1500s and 1994-2002 2500/3500s that had the V8 engine. The filter will need to be cleaned and re-oiled. The entire unit is in great shape - nothing broke, just a little dirty. Dodge Ram 1500 2002-2003. Dodge Ram 2500 2003-2003 8.0L. Dodge Ram 3500 2003-2003 8.0L. Dodge Ram 2500 2003-2009 5.7L. Dodge Ram 3500 2003-2009 5.7L. Dodge Ram 1500 2004-2006 3.7L, 4.7L and 5.7L. Dodge Ram 2500 2008-2018 5.7L (gasoline), box only. Used 2010 Dodge Cummins Air Intake And Housing. DURANGO 1998 -1999. The warranty period starts when you take possession of the part. No labor warranty is provided. SPECIFIC PART NOTES : 5.9L. 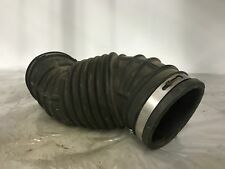 5.7l Air Cleaner Filter Housing Tube Pipe Oem 09-17 P/n 68090732aa. Model: DODGE PICKUP 1500.